Apple cider vinegar has been tied to many health benefits, but did you know that increasing energy is also one of them? The amino acids contained in apple cider vinegar work to counter fatigue. Next time you’re feeling worn out, add a teaspoon (or a tablespoon) of apple cider vinegar to a glass of water or your smoothie and watch your energy level rise. If you are already consuming apple cider vinegar, what other benefits have you experienced? Starting your day off with a breakfast containing fiber can help boost your alertness throughout the day. This is because fiber takes longer to digest and slows the absorption of food in the stomach, so blood sugar levels remain more steady for a longer period of time. Some great options are whole-grain toast (4g of fiber or more per slice) or a bowl of old-fashioned oatmeal with ground flaxseed. While protein isn’t going to give you the energy surge you would get from a macchiato or other short-term fixes, it’s slower digestion provides both satiation and lasting energy for hours to come. Include protein in each of your meals throughout the day (snacks too) for energy without the crashes. To get protein and fiber at breakfast, you can blend some nut butter into your veggie and fruit smoothie, or add vegetables (spinach, onions, and peppers for example) to your scrambled eggs. Rather than having three meals a day, it may be beneficial for you to eat smaller meals more frequently throughout the day. This allows you you to maintain a higher, more stable blood sugar level throughout the day so you’re not experiencing the sugar lows which drive you to seek out snacks. An important distinction here is that these meals would be sized to fit on a bread and butter plate – small – so that you are eating small portions with protein and produce to balance them. 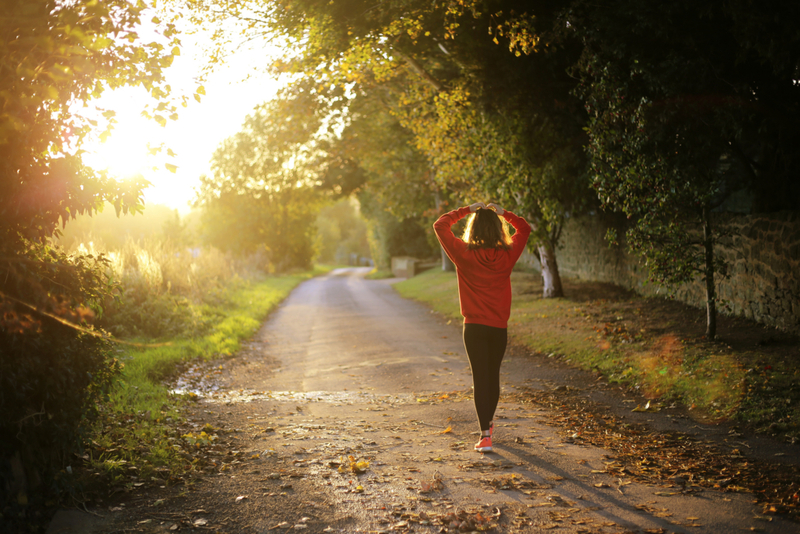 If you tend to get a mid-afternoon energy slump, going for a short walk can invigorate the rest of your day. The next time you feel a lull and are thinking of making a coffee run, skip the coffee and head outside for a walk instead. If your normal workday involves a lot of time at a desk, plan regular short walks throughout your day. If you have choices, go to the restroom further from your desk rather than the closest one, and take the stairs if that is an option for you. Regular intervals of movement will boost both your energy and your brain function. These are just a few ways that you can increase your energy. Start with one of these tips and over time you’ll begin to reap the benefits of lasting energy — all it takes is a few simple shifts in your habits. And if you need further support to identify other culprits that are causing symptoms or discomfort, reply to this email and we can schedule a brief chat to see how I can help.